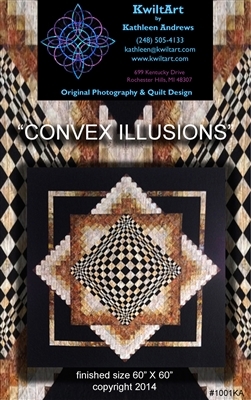 Convex Illusions is a very easy optical illusion quilt pattern using strip piecing and simple construction techniques. The combination of shapes and shades creates the dramatic 3D optical illusion. 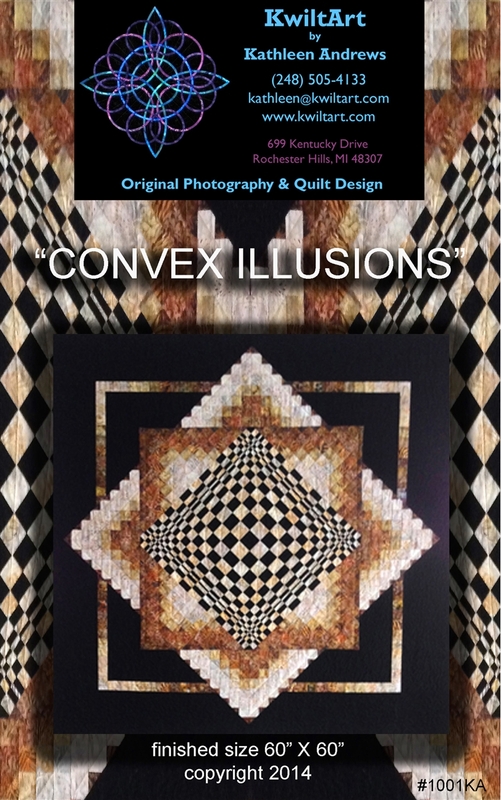 This is the same quilt as "Poppin' In", with the center created in reverse. This quilt pattern is for the confident beginner. Finished size 60" X 60".